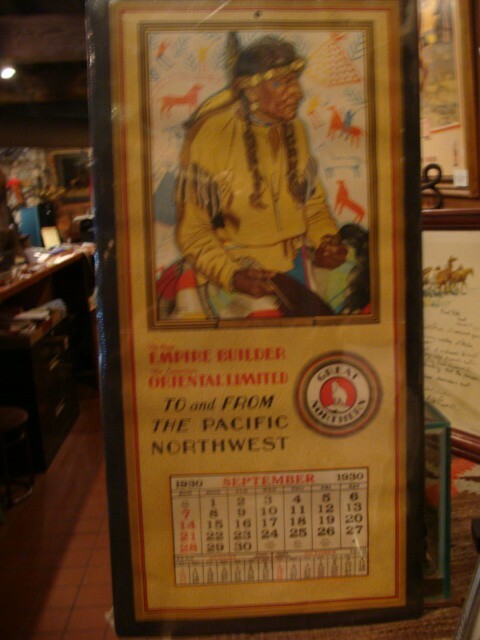 Original Glacier National Park / Great Northern Railway Calendar / depicting famous "Lazy Boy Medicine Man" Blackfeet medicine man on Montana Reservation 1930 Artist: Winold Reiss. Original Glacier National Park / Great Northern Railway Calendar / depicting famous "Lazy Boy Medicine Man" Blackfeet medicine man on Montana Reservation 1930 Artist: Winold Reiss. Please email cowboycabin@centurytel.net with questions or call 406 270-2842.